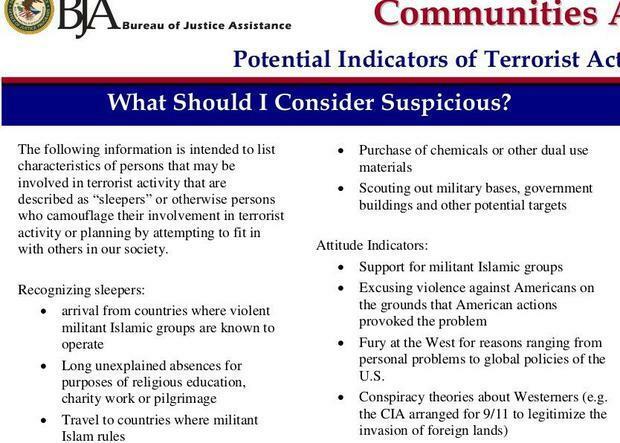 “Sleepers” refers to “sleeper cells,” in FBI jargon, which are terrorists awaiting orders to be activated into terrorist activity. 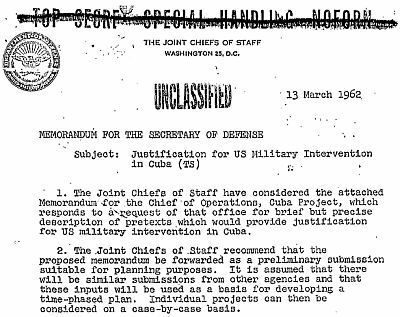 In 1998 it was declassified by the Pentagon that the Joint Chiefs of Staff had approved a plan, in 1962, to attack and kill US citizens to “provide justifications for US military intervention in Cuba.” The plan was code-named Operation Northwoods, the face page of the declassified document is below. 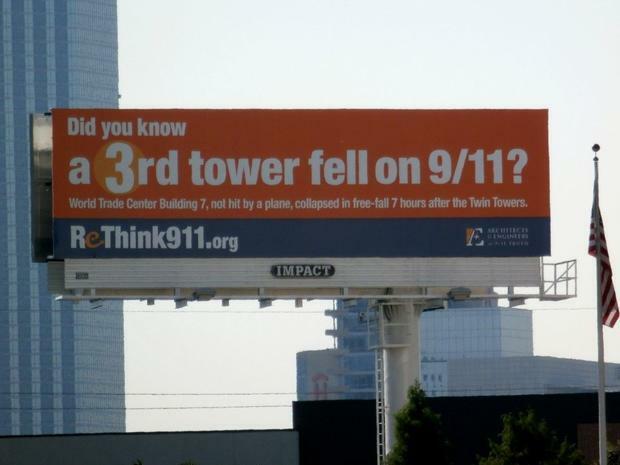 The latter is an apparent reference to thinking such as the “blowback” doctrine, which criticizes US foreign policy and links alleged errors in that policy, such as the invasion of Iraq, to terrorist activity. Bloggers and other citizens have long argued that the science employed by the official story is impossible, and that the three towers must have been destroyed by some other means. 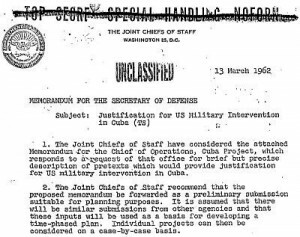 As the FBI memo states, some argue that 9/11 was planned by a covert, relatively small but well-placed coup faction within the US government “to legitimize the invasion of foreign lands,” notably Iraq and the Middle East. In 2005 General Wesley Clark, former presidential candidate, said that he was given a copy of a memo by a ranking member of the Bush administration that revealed that war hawks in the Pentagon planned on attacking “seven countries in five years,” with Iraq only the beginning. Other federal law enforcement agencies have been criticized for sweeping characterizations of potential terrorists, which demonize Constitutionally protected activity. 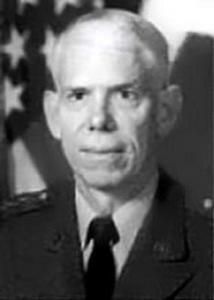 In 2011, 18-year law enforcement veteran James Wesley Rawles warned that the Department of Homeland Security was being trained to consider as potential terrorists, among other people, those who had expressed “libertarian philosophies, “Second Amendment-oriented views,” “Self-sufficiency (stockpiling food, ammo, hand tools, medical supplies,) “Fear of economic collapse,” “fears of Big Brother or big government,” and “Declarations of Constitutional rights and civil liberties.” Since Hurricane Katrina, food stockpiling consultants and merchants have reported greater-than-ever activity and interest in storing long-term supplies of non-perishable food and water supplies. In 2009, an uproar was created when the Department of Homeland Security issued a report describing returning Iraq veterans as potential terrorists. 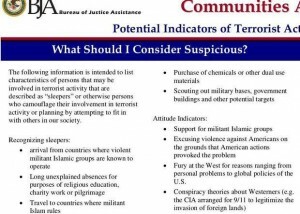 Public outcry prompted Speaker of the House john Boehner to denounce the characterization as “offensive.” In 2012, NetworkWorld.com reported on an entire set of “Communities Against Terrorism” circulars coming out of the Bureau for justice Assistance.